NPR's journalists covered a study that tested whether different forms of Tetris would help people feel less anxious. ...research suggests that Tetris can ease us through periods of anxiety by getting us to a blissfully engrossed mental state that psychologists call "flow." "The state of flow is one where you're completely absorbed or engaged in some kind of activity," Sweeny explains. "You lose your self-awareness, and time is just flying by." Sweeny and her collaborators gathered a group of more than 300 college students and told them their peers would be evaluating how attractive they were. "I know, it's kind of cruel, but we found it's a really effective way to get people stressed out," Sweeny says. While the participants awaited their attractiveness scores, the researchers had them play Tetris. In the end, everyone experienced a degree of worry. But the third group reported slightly higher levels of positive emotions (on average, about a quarter of a point higher on a five-point scale) and slightly lower levels of negative emotions (half a point lower on a five-point scale). "It wasn't a huge difference, but we think it's noticeable," Sweeny says. "And over time, it can add up." a) In this study, they decided to manipulate the conceptual variable, "degree of flow." How did they operationalize this variable? c) What was the independent variable? What were its levels? d) Does this seem to be an experiment or a correlational study? How do you know? e) Sketch a graph of the results. f) The journalist mentions details about the results (e.g., "about a quarter of a point higher on a five-point scale" and "half a point lower on a five-point scale"). Which aspect of statistical validity is being discussed here? g) What questions would you ask to decide if this study was internally valid? Which of the internal validity threats in Table 11.1 could you rule out? Which could you ask about? h) What about the external validity of this study? How might you see if this effect might generalize to other flow-related activities (other than Tetris)? The claim that "most people think they are smarter than average" is a cliche of popular psychology, but the scientific evidence for it is surprisingly thin. Most research in this area has been conducted using small samples of individuals or only with high school or college students. The most recent study that polled a representative sample of American adults on the topic was published way back in 1965. The authors, Patrick Heck and Christopher Chabris, worked with a third colleague. ..[W]e conducted two surveys: one using traditional telephone-polling methods, the other using internet research volunteers. Altogether we asked a combined representative sample of 2,821 Americans whether they agreed or disagreed with the simple statement "I am more intelligent than the average person." We found that more than 50% of every subgroup of people -- young and old, white and nonwhite, male and female -- agreed that they are smarter than average. Perhaps unsurprisingly, more men exhibited overconfidence (71% said they were smarter than average) than women (only 59% agreed). In our study, confidence increased with education: 73% of people with a graduate degree agreed that they are smarter than average, compared with 71% of college graduates, 62% of people with "some college" experience and just 52% of people who never attended college. The accessible Wall Street Journal summary is paywalled, but the original empirical publication is open-access in PLOS One. a) What kind of study was this? Survey/poll? Correlational? Experimental? What are its key variables? b) The authors found that more than 50% of every subgroup of people considered themselves smarter than average. Why is this result a sign of overconfidence? c) The authors of this piece state that their combined sample was "representative". 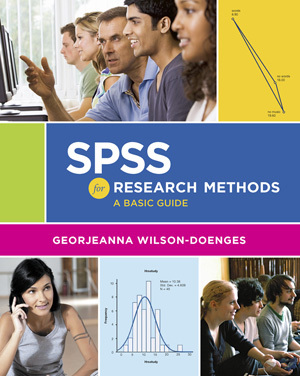 Re-read the section on how they got their sample and then make your own assessment--is the sample representative? (i.e., how is its external validity?). What population of interest do they intend to represent? 73% of people with a graduate degree agreed that they are smarter than average, compared with 71% of college graduates, 62% of people with "some college" experience and just 52% of people who never attended college. e) In concluding their article, the authors wrote, "Our study shows that many people think they are smarter than they really are, but they may not be stupid to think so." What do you think? To what extent does this study's results support this conclusion? e) Ask a question about this study's construct, internal, external, and statistical validity. I have a standing desk in my office. Am I getting smarter as a result? An editorial summarizes some of the evidence. A study published last week...showed that sedentary behavior is associated with reduced thickness of the medial temporal lobe, which contains the hippocampus, a brain region that is critical to learning and memory. a) What were the two variables in this study? Were they manipulated or measured? Was this a correlational or experimental study? b) The author writes that the study "showed that sedentary behavior is associated with reduced thickness of the medial temporal lobe." Did he use the correct verb? Why or why not? Intriguingly, you don’t even have to move much to enhance cognition; just standing will do the trick. For example, two groups of subjects were asked to complete a test while either sitting or standing [randomly assigned]. The test — called Stroop — measures selective attention. Participants are presented with conflicting stimuli, like the word “green” printed in blue ink, and asked to name the color. Subjects thinking on their feet beat those who sat by a 32-millisecond margin. c) What are the two variables in this study? Were they manipulated or measured? Was this a correlational or experimental study? d) Does this study support the author's claim that "you don't have to move much to enhance cognition; just standing will do the trick"? Why or why not? e) Bonus: What kind of experiment was being described here? (Posttest only, prettest/posttest, repeated measures, or concurrent measures?) Comment, as well, on the effect size. It’s also yet another good argument for getting rid of sitting desks in favor of standing desks for most people. For example, one study assigned a group of 34 high school freshmen to a standing desk for 27 weeks. The researchers found significant improvement in executive function and working memory by the end of the study. f) What are the variables in this study? Were they manipulated or measured? g) Do you think this study can support a causal claim about standing desks improving executive function and working memory? True, there was no control group of students using a seated desk, but it’s unlikely that this change was a result of brain maturation, given the short study period. h) What threat to internal validity has the author identified in this statement? i) What do you think of his evaluation of this threat? j) Of the three studies presented, which provides the strongest evidence for the claim that "standing up at your desk could make you smarter"? What do you think? On the basis of this evidence, should I keep standing here? How can we reduce racial biases? The year 2016 provided multiple references to implicit and explicit racial biases, especially in politics. So you might be wondering, What does it mean to hold "implicit biases?" Why are people biased against some ethnic groups, and what can we do about it? It turns out there is a strong research tradition concerned with measuring and correcting implicit bias. There's a series of short videos grouped under the title, What, me biased? Each presents a real-world situation relevant to racial bias and discusses a research study. a) In the opening minute, TV host Heather McGhee poses a theory about how to reduce racism to the caller. What is the theory? How did the researchers use data to test the theory? b) What was the independent (manipulated) variable in the study? What was the dependent variable? c) How do you know the study was an experiment? Was it an independent groups or within groups design? d) Sketch a graph of the result, labelling your axes mindfully. e) Work through the theory-data cycle: Did the data support Ms. McGhee's theory, or not? 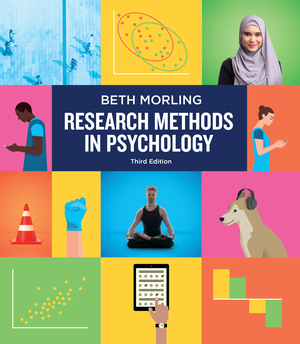 There are seven videos in this series, providing other opportunities to practice research methods concepts. For example, students can practice an individualized version of the theory-data cycle (Chapter 1), where Dr. Dolly Chugh discusses the idea of an "audit" in the video, Check Our Bias to Wreck Our Bias. There's also a 2x5 factorial design (Chapter 12) in the video, Check Our Bias to Wreck Our Bias. There's a reference to the Bias Blind Spot (Chapter 2) in the video, Peanut Butter, Jelly, and Racism. [H]azard perception...involves visually scanning the road ahead for clues that a dangerous situation may be developing, such as a pedestrian getting ready to cross the street or cars up ahead starting to brake. This sounds simple enough, but research suggests that a knack for this kind of visual scanning actually takes years – even decades – to learn. [N]ovice drivers, particularly teens, are so much more accident prone compared to older, more experienced drivers. Eye-tracking studies have shown that less experienced drivers tend to look at the road right in front of them, while more experienced drivers tend to automatically look far ahead, scanning all around the road for signs of trouble. a) Is the finding above from a correlational or experimental study? What are the two main variables in the result? If it's an experimental study, what is its design? ...research has also demonstrated that even very short interventions can lead to major improvements in driving safety. In one California study, drivers who had just passed an on-road driving test were randomly assigned to either receive a 17-minute hazard perception training or to receive no additional training. Over the course of the following year, male drivers who received the training had a rate that was nearly 25% lower than the group of untrained males. However, there was no such drop in accident for female drivers who had received the training. b) Is the finding above from a correlational or experimental study? What are the two main variables in the result? If it's an experimental study, what is its design? However, unlike other driving skills, hazard perception has been empirically linked to crash risk. c) Is the finding above from a correlational or experimental study? What are the two main variables in the result? If it's an experimental study, what is its design? a) This is a correlational study, and the two measured variables are driver experience (or driver age) and how far ahead drivers train their eyes while driving. b) This is an experimental study. It appears to be a post-test only design. The independent variable is whether drivers received the 17 minute training or whether they received no training. The dependent variable is accident rate. This study had a participant variable, gender. You read that the training affected males but not females. Therefore, you could also consider this a factorial design (IVxPV) design with an interaction. c) This is a correlational study, and the two measured variables are skill at hazard perception and crash risk.